Flossie's General Store - Jackson NH and Mt. Washington Valley Area Information. Pumpkin People, Tradionally Yours Events, Lodging specials, Dining and Ski Area Info. 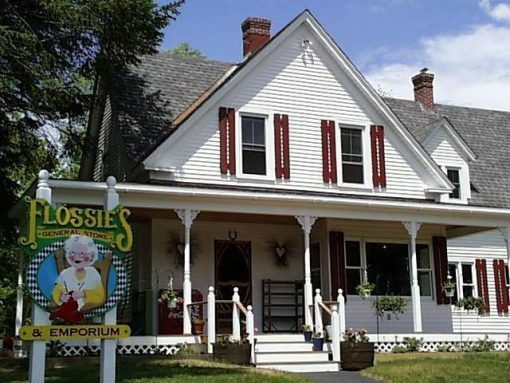 Flossie’s General Store & Gift Emporium is located next to the covered bridge in the quaint village of Jackson, NH. It is known for its country store feeling with a wonderful array of gifts and collectibles for all ages. Known to have something for everyone with affordable prices. The store’s diversification and fresh look is achieved by staying current and changing with the seasons. Flossie features many local artisans from Jackson as well as other parts of New Hampshire.